On February 8th 2017 we are welcoming back researcher & educator, Hugh Kearns, who will be running a workshop for academic staff and researchers “Developing a research track record on a shoestring”. Hugh is recognised internationally and regularly lectures at universities across the world, including Oxford, Harvard, Stanford and, now for the fourth time, Northampton. Library and Learning Services in conjunction with the Graduate School are delighted to announce a new workshop for research students and staff. Elaine Devine from Taylor & Francis will be leading the workshop and will bring a publisher perspective to the two important scholarly activities of getting published and becoming a peer reviewer. The School of Social Sciences offers a programme of multidisciplinary training workshops. Subject-specific training and support is also offered via a diverse range of specialist research groups. Their programme is open to all PGRs at the University of Northampton. 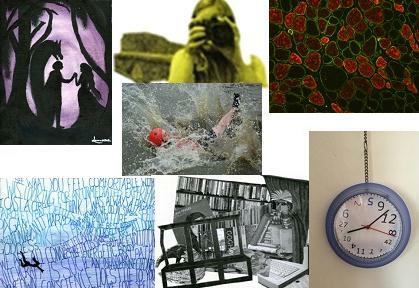 Deadline extended for Images of Research 2015-16 – there is still time to enter! If you haven’t yet had time to take a photo or draw a picture reflecting your research there is still time. The deadline for the Graduate School’s Images of Research competition has been extended to a final deadline of 5pm on 24th November 2015. Just grab your camera or pencil/paintbrush and produce a unique image which captures the essence of your research, or an element of your research, in a visual, artistic or photographic way. Add a snappy title and 150 word summary and that is all you need to do to participate. If you are a researcher, whether a research student or research staff, it is important that you understand the implication of open access, where research papers are made freely available online, rather than published in high-cost subscription journals. The Higher Education Funding Council for England (HEFCE) announced last year that all post April-2016 UK research must be open access in order to qualify for funding assessments. In the light of this, Dr Miggie Pickton and Nick Dimmock from LLS are holding a 2 hour workshop on Open Access on Thursday, 12 March from 15:00 to 17:00 in the TPod, Rockingham Library, Park Campus. If you would like more information please see the booking page here https://openaccessmar15.eventbrite.co.uk.